Shirlene J. Fox, 68, passed away on Thursday, August 2, 2018, in Fisher Titus Medical Center. She was born to the late Homer W. and Evelyn J. (Merrill) Fox on September 3, 1949, in Norwalk, Ohio. 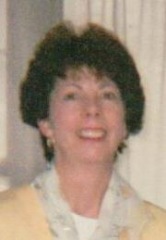 Shirlene was a life-long area resident and a life-long member of St. Paul Catholic Church in Norwalk. She was a 1967 St. Paul High School graduate, former Fanny Farmer employee and was employed by International Automotive Components (formerly Lear) for over 20 years. Shirlene enjoyed cooking, crafts, growing, and arranging flowers, traveling to Gem Beach with her family on Catawba Island, and she enjoyed trying new restaurants, and dining out. She was also a member of the United Auto Workers, Local 913, Sandusky, Ohio, and was an avid and loyal Cleveland Browns fan. Shirlene is survived by her sisters, Janet F. Brady, of Bellevue, Ohio, Marilyn L. (Michael) Zwyer, of Dania Beach, Florida, Diane K. Fox (Dwight Roll), of Norwalk, Ohio, and Joan D. Fox, of Norwalk, Ohio. She is also survived by her nephews, Kevin M. (Jenni) Zwyer, Gregory A. Zwyer, and Aaron R. Brady, and by her great-nephew, Zachary Zwyer. Shirlene was preceded in death by her brothers, Michael W. Fox, in 2006, and James W. Fox, in 2012, and by her brother in law, Ronald L. Brady, in 2014. Friends may call on Monday, August 6, 2018, from 4:00 p.m. to 6:00 p.m. in Walker Funeral Home, 98 W. Main St., Norwalk, Ohio. Mass of Christian Burial will be held on Tuesday, August 7, 2018, in St. Paul Catholic Church, 91 E. Main Street, Norwalk, Ohio at 10:30 a.m.
Interment will be at St. Paul Cemetery, Norwalk, Ohio. Memorials may be made to St. Paul Catholic Church, or FCEDO, 93 E. Main Street, Norwalk, Ohio 44857.